Pro Pool Services are Melbourne based pool lovers. Our expertise regarding pool care and quality maintenance comes from a love of summer, the backyard barbecue and cooling off in the pool. And to share that experience, we provide a quality service, upfront advice, affordable repairs, with the utmost care with all cleaning and maintenance. What’s more, our years of collective and comprehensive experience has granted us knowledge of the best products and the pools sizes and layouts they are suited towards. It is with this knowledge that we can source the products you need to come home to a crystal-clear pool, all year round. 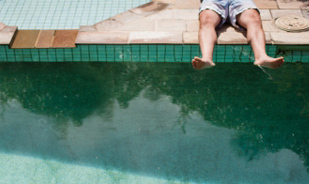 Our flexibility can help to work around your schedule, and our versatility means that we can help you with everything from tree lopping to pool tiling, solar and gas heating to regular or one-off pool maintenance and sand changes. So whether you need advice on chlorinators, pool leak detection, pump installation or a complete pool renovation, contact the Pool Professionals that Melbourne trusts. You can even come to our Moorabbin store, where we can test your water and show you various quality products for your pool. Call Pro Pools today on (03) 9191 6641 or visit us at 9 Chapel Road, Moorabbin. Come and say hello. Our store provides the latest in pool products, professional advice on all pool maintenance, as well as water testing and diagnosis.